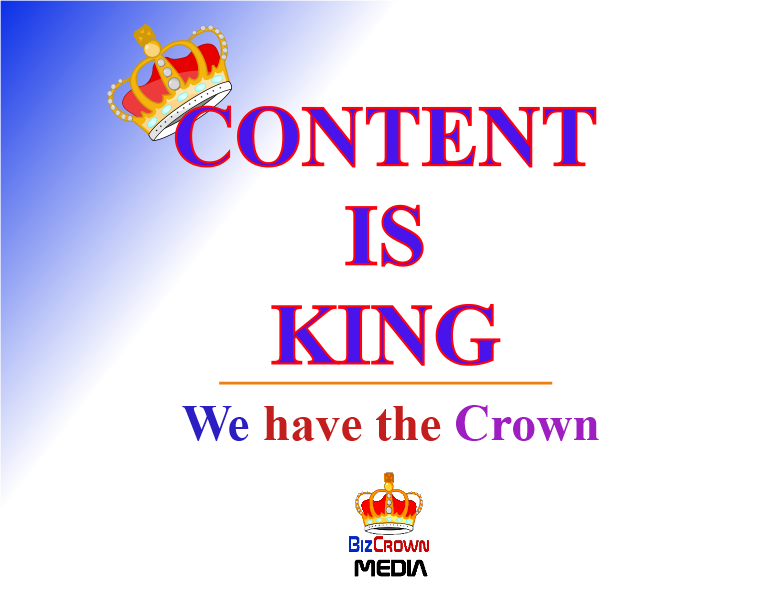 Content is King and we wear the crown. We create custom content in form of blogs, articles, newsletters, videos, website copy and more. Our strategy for content is targeted and results driven. We understand the importance of using content to achieve organizational and business goals and our content creation methods are stellar for website and SEO (Search Engine Optimization). We assist businesses in using content to appear in search results related to their services and products enabling more visibility to their websites and social platforms to their preferred target audience. Contact us to discuss how we can assist you with SEO, blog writing, newsletters, visual+ content and other forms of content we assist in creating to achieve marketing and business goals.